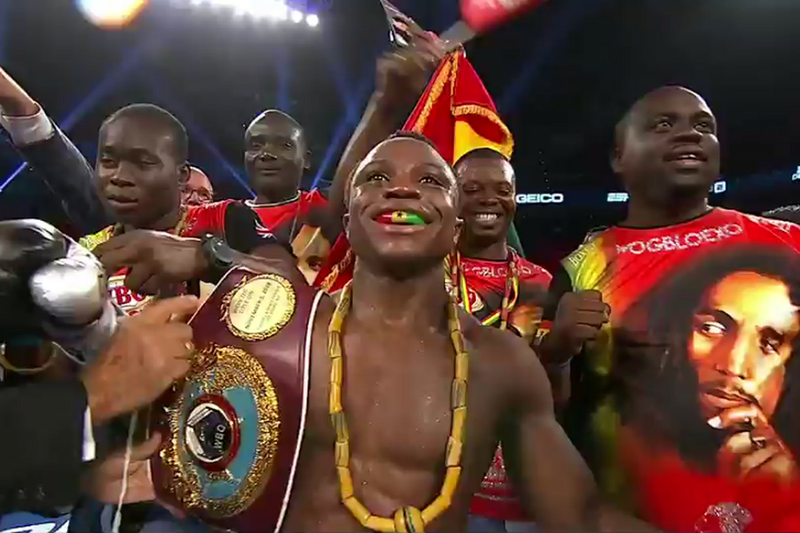 Dogboe makes history as Ghana’s 9th world champion! In a heated showdown, mandatory challenger Isaac Dogboe (19-0, 13 KOs) recovered from an early knockdown to score three of his own to stop Jessie Magdaleno (25-1, 18 KOs) for the WBO super bantamweight title. Magdaleno came out fast, landing a rapid fire combination that dropped Dogboe for the first time in his career. Dogboe was fighting back, but he wasn’t really effective with his punches and Magdaleno was connecting with the harder, crisper punches. Dogboe got back in the fight during the second round, when he connected with several hard punches in the final minute to the head and body. Things continued to heat up in the third, with Dogboe evening things up where he was able to better time his punches on Magdaleno. The champion came roaring back with hard shots of his own. Dogboe continued to fight Magdaleno in close in the fourth, as they were exchanging hard shots. Dogboe was getting off very well, as Magdaleno was unable to adjust. In the fifth, Dogboe landed a big right hook and sent Magdaleno down hard. Dogboe was punishing him with both hands. Magdaleno took some big shots, but he was able to survive. That was the first knockdown in Magdaleno’s career. 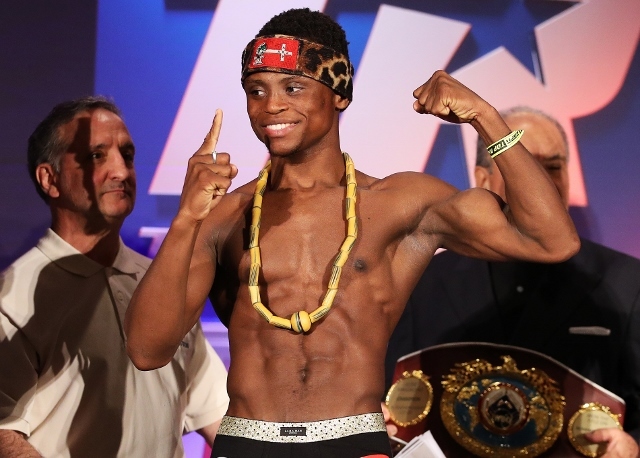 Dogboe was now pressing forward and throwing big shots. Magdaleno was starting to recover his senses and was looking for counters. Dogboe had a big rally in the closing seconds. Magdaleno came out swinging at the start of the seventh round and seemed to be getting a second wind. Dogboe started firing back himself, in the middle of the round. And then he really tagged up Magdanelo in the final minute with big shots to the head and body. The action was more calculated in the eight, with both looking for their openings. More of the same in the ninth round, where neither really made a dent. Dogboe began to pick up his workrate at the start of the tenth. Dogboe clipped him with a big combination of punches and then started pounding on Magdaleno against the ropes to the head and body. Dogboe was pressing at the start of the eleventh, and as he was unloading, Magdaleno went down for the second time from a body shot. He got to his feet, but was still out of it. Dogboe unloaded some more punches to send Magdaleno down for the third time in the contest and the fight was waved off by the referee.